When buying cameras off eBay, or checking them out at secondhand shops, it’s very common for a vintage camera kit to include some weird, funky-looking old flash unit. Today, these retro strobes are practically being given away. So I’m sure many of you have asked the question: Are they still good for anything? But it wasn’t so simple back in the 1960s and 1970s. Flash was a separate, add-on accessory, usually made by a different company. And getting the exposure correct might require a little figuring. Built-in flash may be easy to use. But light coming from directly above the lens gives a very stark, unflattering look. It’s not a very pleasant light for photographing people. I’m not going to start a longwinded discussion of lighting techniques here. You can look to the Strobist for inspiration and suggestions on that. Today, I’d just like to ID some different kinds of vintage flash gear, and explain a few points about how they’re used. 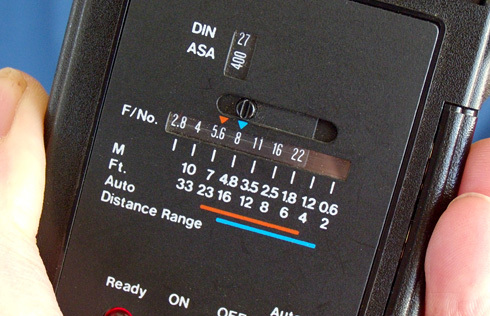 But throughout the 1980s, camera designs became much more “electronic.” Newer cameras commonly trigger the flash using a solid-state switch instead. These were designed to be used with a flash voltage of about five volts or so. So DON’T go sticking random old flashes into your modern camera’s hot shoe. 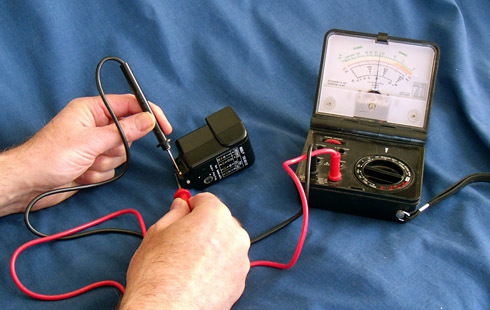 Manufacturers are often maddeningly vague about what the maximum acceptable flash voltage is exactly; but you should always err on the side of caution. Here’s one attempt to compile sync voltages for various flash models. The voltage warning applies even for some film cameras of the 1980s. 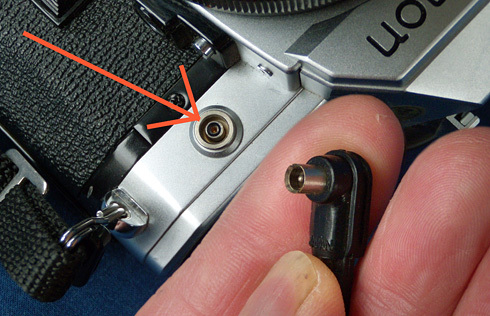 My rule of thumb is this: Does a camera’s shutter work normally even when there are no batteries installed? If so, its sync contacts are all mechanical, and you don’t need to worry about trigger voltage. Otherwise, proceed with caution. But I’ll explain shortly one way old flashes can used safely with any camera—modern or vintage. 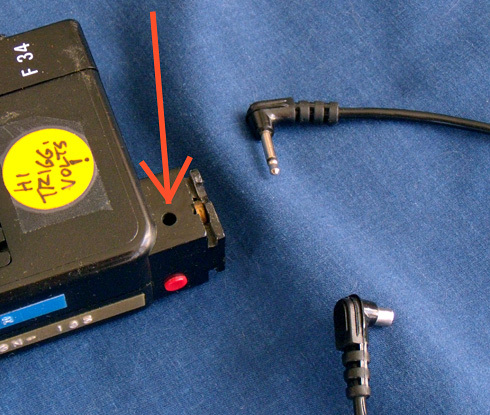 Unfortunately, a flash that was put aside and forgotten during the Reagan administration may have leaking, scungy batteries remaining inside it—so that’s the first thing to check. Badly-corroded battery contacts can sometimes be cleaned; but my success rate hasn’t been all that great. Perhaps the corrosion rots the internal wiring too? With good batteries, you want to hear a high-pitched rising whine, then see the ready-light come on within 30 seconds or so. Flashes with multiple pins are so-called “dedicated” units. They are designed to match the hot-shoe contacts of one particular brand of camera. The extra pins send auto-exposure signals, add a flash-ready lamp in the viewfinder, and so on. Each manufacturer’s system has slightly different capabilities, and I certainly can’t describe every one. But just remember, these extra features only help you when you use a matching type of camera (and when you can track down the manual, to explain how everything works). But many flashes only have a single contact in the center of the foot. It’s simply the trigger which tells the flash, “fire now!” And these simple, bare-bones models are the easiest to understand. Many have no automation whatsoever—just an on/0ff switch. “Dumb” flashes fire at the same brightness every time, no matter what the subject is. So how does the photographer know what exposure settings to use? Well, it is the distance from the flash to the subject which determines how bright the illumination is. 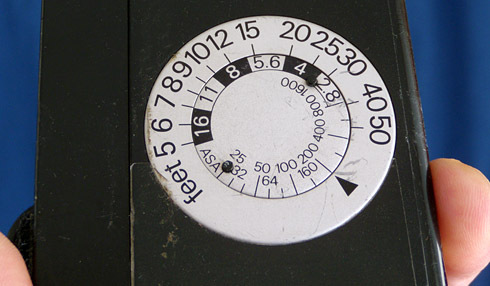 So these simple flashes will have some kind of calculator dial or table, to tell you the proper f/stop to use at a given distance. Notice that I said “f/stop.” With flash, a camera’s shutter speed doesn’t affect the exposure. The electronic pulse is much briefer than any shutter speed; and it’s usually much brighter than any room light. 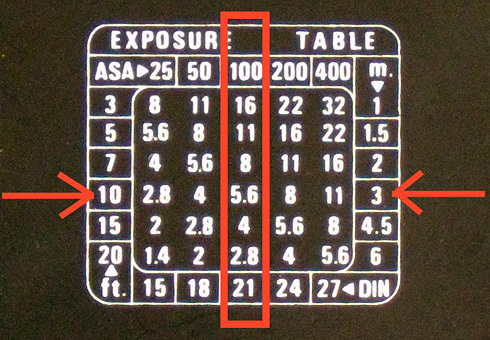 Here’s the typographically-bewildering exposure table on the back of one cheapie flash. Not exactly user-friendly, eh? Now keep in mind these f/stop guides are not sacred gospel. They are based on typical indoor rooms with light-toned, reflective walls and ceilings. Otherwise, you might need to open up an additional f/stop or so. If you put a diffuser over the flash (like my Tupperware flash project), or bounce the light off a wall, you’ll also lose a couple of f/stops of brightness. I know, that sounds like some Star Trek mumbo jumbo—”Captain, I don’t think the Thyristor Crystals can take it much longer!” But a thyristor is just a device which cuts the flash pulse short, once a photocell sees sufficient light has bounced back from the subject. With an Auto model, the exposure settings work a little differently. 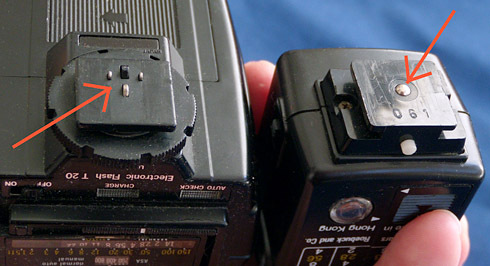 On the back panel, slide the indicator until the correct film speed shows. (I’ve shown 400-speed film here.) Then the color-coded arrows give you two f/stop options: f/5.6 or f/8. You set the camera aperture to the f/stop matching whichever color the front switch is on—so for the red position, f/5.6. After you’ve set the lens aperture correctly, exposure should be automatic—even as you move closer or further from the subject. With auto flash, even if you do something unusual like cover it with a diffuser or a colored gel, the length of the flash pulse gets adjusted automatically. 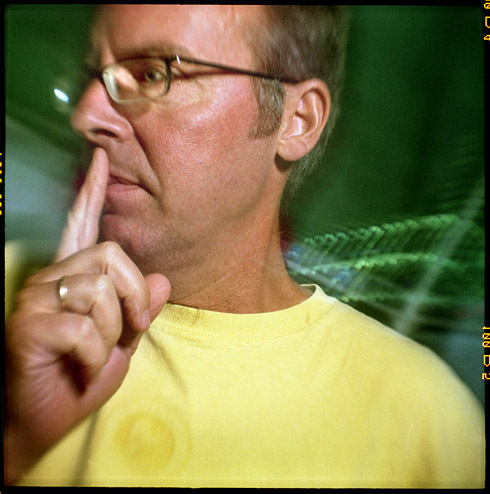 You can even bounce the flash off a white ceiling or a wall, giving soft, diffused lighting. Just make sure the flash photocell stays unobstructed and points towards the subject, and you’re good to go. With some auto flash models, the light sensor is not particularly visible; so you might not recognize that’s what you’ve got. Here’s one where changing the front switch from “M” to “A” uncovers a teensy little hole in the switch itself—that’s the photocell! And I’m sure there are other weird variations out there I’ve yet to discover. But any “auto” flash will have a photocell somewhere on its front. With all my scary warnings about high voltages frying your camera, you may wonder why I’m still enthusiastic about vintage flashes. 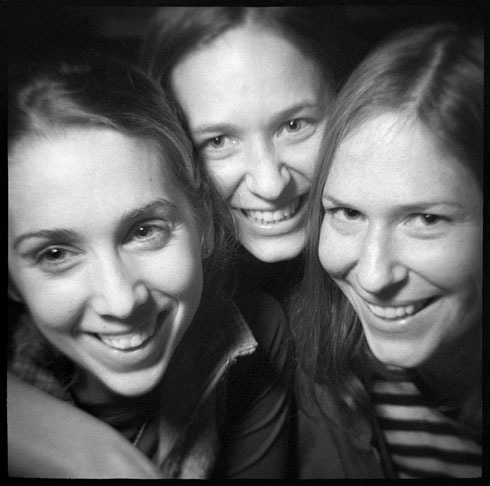 Open flash: Hold shutter open on “bulb,” then fire the strobe. You could also set up a night shot, with the camera on a tripod: Hold the shutter open on “B” (with a locking cable release or a helpful assistant) and you can walk through the scene, “painting” different areas with multiple flash bursts. I’m sure you can start to imagine other possibilities, too. 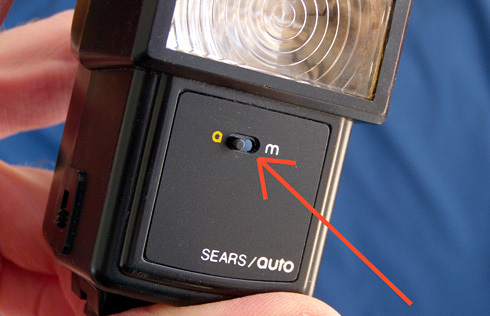 Just remember if you’re using a manual flash, that it’s the flash’s distance from the subject (not the camera’s) which you use to figure the exposure setting. 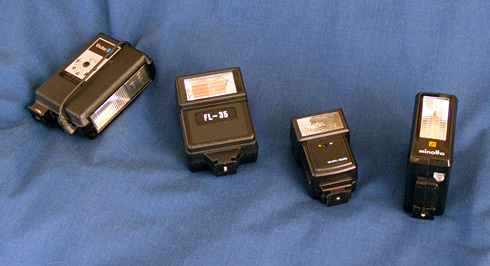 The camera at the left has extra contacts, to work with its own brand of dedicated flash. 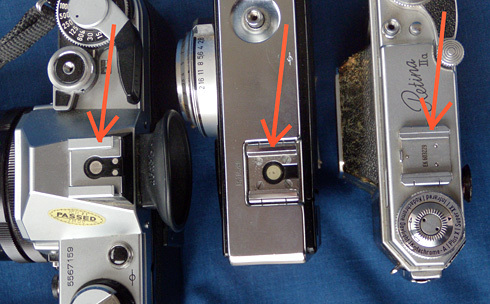 But simple flashes with a single contact pin will also trigger fine (although without any whizzy extra features). 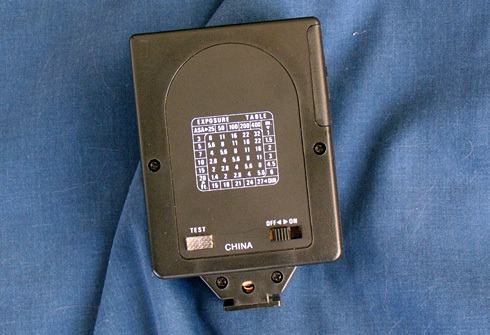 That’s because the central pad is always the standard sync connection—as shown in the plain, vanilla hot shoe of the middle camera. But a camera from the early 1960s or before will generally have a “cold” shoe, lacking any electrical connections. What to do then? For this, you’ll need a sync cord. And unfortunately, not every flash unit provides a socket for one. Plus, different brands use different connector styles—there isn’t one single standard. If you get really stuck matching a cable to a particular flash, try Paramount Cords. You can also buy extension sync cords that are extra long (I own one that’s about 15 feet). This can be quite handy when working with studio/portrait setups. 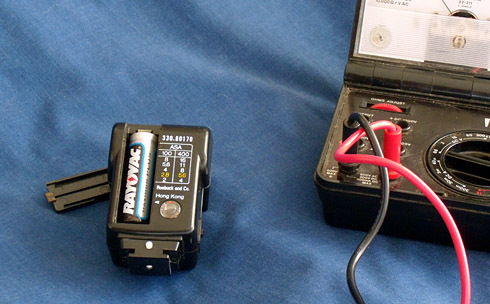 If you find a particularly wonderful old (but high-voltage) flash, and you’re really desperate to plug it into a modern camera, there is a solution: A little $47 device called a Wein Safe Sync. This isolates the flash trigger so the camera only gets a safe couple of volts. But it seems a bit expensive to me—though I admit, it’s much cheaper than the repair bill for a fried camera. 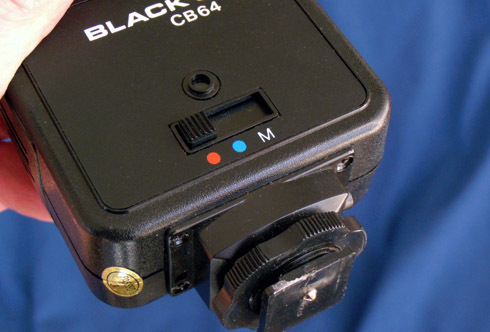 Its “eye” (the bluish photocell on the front) detects any other flash firing in the room. Another strobe plugged into its PC socket will trigger in sync with the first one. I’ve found it to be surprisingly sensitive. Plus, it dates back to the dark ages of high-voltage strobes. So it’s a great way to trigger an old “dangerous” flash, using the light pulse from a safe one—with no danger to any camera. 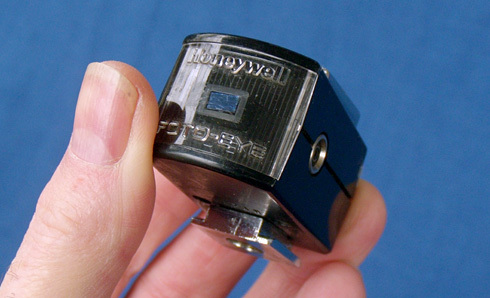 Over the decades, manufacturers have attempted many solutions to the problem of flash exposure. I can think of about six different systems right off the top of my head. So I’ve had to leave out some of the weirder and odder possibilities you might come across. But I’ve tried to cover the vintage flash types you’ll see most often.